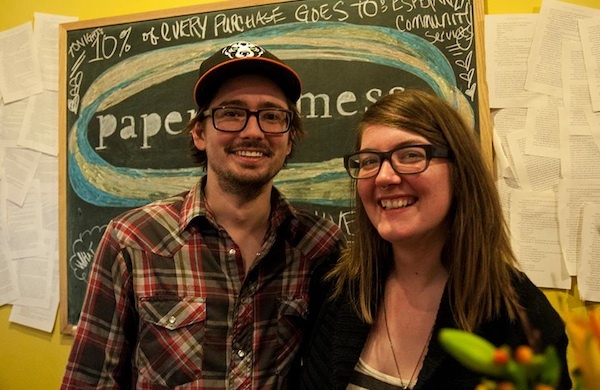 In Lisa and Sean’s hands, that nearly empty property has been transformed into Paperish Mess (1955 W. Chicago Ave.), a boutique gallery focused on the work of Chicago artists and artisans. For the couple, opening their own gallery has been the culmination of a dream they’d had since they were teenagers in upstate New York. It’s not just their artists whom Lisa and Sean are clamoring to have a beer with. Through monthly exhibit openings, they’re regularly inviting neighbors into the gallery to sip craft brews while viewing the art. 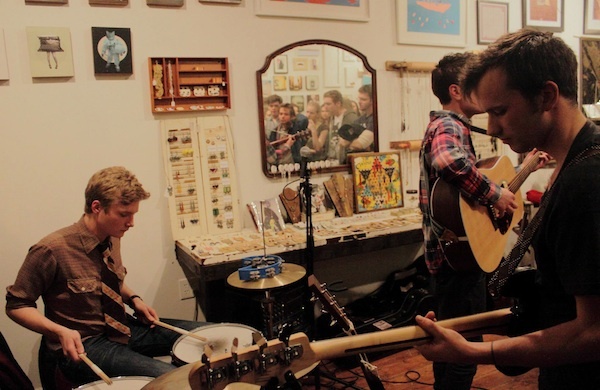 These openings often incorporate other artistic elements, such as live music and film screenings. They even hosted an app release party for Buy Art Not People, a Chicago group that creates art to raise awareness about human trafficking. But even on a regular day, Lisa and Sean are cultivating an open-door reputation. They can often be found welcoming guests like they’re old friends as their cat, Mishka, noses around the gallery quietly. Those too-cool white walls they found when they moved in have since been warmed by reclaimed wood furniture and fixtures handcrafted by Sean. Of course, fine art is only half of what Lisa and Sean have here. 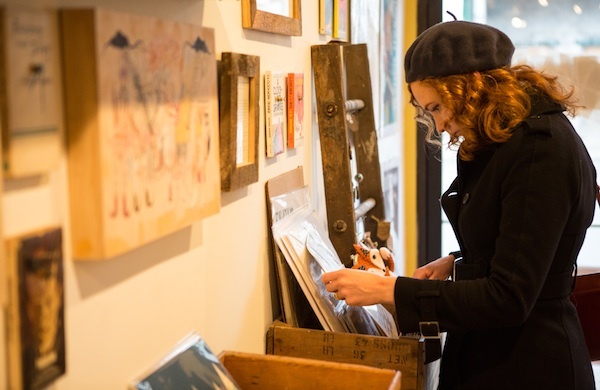 Their two-room gallery has the exhibits in the back, but up front, there are displays showcasing handmade goods from more than 100 independent artisans. What they’ve curated blends seamlessly with the art, as with iamhome’s reclaimed-wood wall fences. They collect wood from old family barns that have been torn down, and paint the pieces into neon-colored art. As Lisa and Sean strive to make their gallery an engaging and interactive space, they’re intrigued by giving patrons the opportunity to make something of their own. 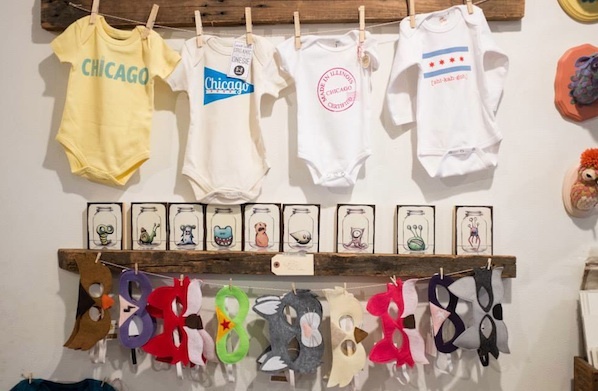 In the past, they’ve hosted printmaking demonstrations by Hoofprint and pie tastings with local bakers, and hope to evolve toward true workshops in the future. Jess is an avid DIYer and the founder and artisan behind Milton and Margie's Soy WaxCandles.